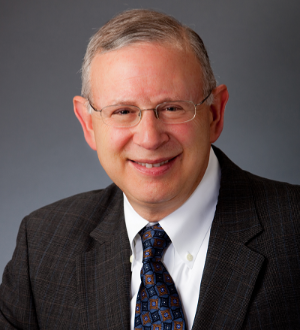 David H. Solomon, former Chief of the FCC's Enforcement Bureau, is a nationally recognized expert on FCC enforcement issues. Mr. Solomon’s practice at the firm focuses on media and telecommunications matters with a special emphasis on enforcement and other FCC adjudicatory proceedings. He has represented clients in Enforcement Bureau investigations and forfeiture proceedings, formal common carrier complaint proceedings, cable program carriage complaint hearings, merger proceedings, rulemaking and other FCC proceedings, and court appeals of FCC decisions. Mr. Solomon has been recognized in Best Lawyers, Super Lawyers, the Legal 500, and Chambers USA. Chambers USA notes his "significant expertise in enforcement matters" and quotes a client as saying "he has vast knowledge of different problems and solutions" and, because "his client always comes first and he understands the government process," he is "able to get to a successful outcome." As the first Chief of the FCC's Enforcement Bureau, Mr. Solomon designed and organized the new bureau, and led the FCC’s enforcement efforts in all sectors of the communications industry. Prior to that, he served as FCC Deputy General Counsel and FCC Assistant General Counsel for Administrative Law. In these positions, Mr. Solomon provided legal advice to FCC Chairmen, Commissioners, and staff on virtually every significant FCC proceeding for more than a decade. For example, he played a key role in the FCC’s implementation of the Telephone Consumer Protection Act of 1991, the Cable Television Consumer Protection and Competition Act of 1992, the Omnibus Budget Reconciliation Act of 1993, and the Telecommunications Act of 1996.